Stephanie A. Jacobsen, 59, of Davenport, died Sunday, April 14, 2019, at the University of Iowa Hospitals and Clinics, Iowa City. Arrangements: Halligan-McCabe-DeVries Funeral Home, Davenport. Steven L. Bolinger, 53, of Davenport, died Saturday, April 13, 2019. Arrangements: Esterdahl Mortuary and Crematory Ltd., Moline. Scott W. Johnson, 72, of Davenport, died Saturday, April 13, 2019 at home. Arrangements: Weerts Funeral Home. Candace J. Eastman, noon, Schroder Mortuary, Silvis. Susan K. Gass, 74, 11 a.m., Rafferty Funeral Home, Moline. Stanley “Stan” Raymond Heed, 11 a.m., Calvary Lutheran Church Moline. Doris M. Louck, 10:30 a.m., Fippinger Funeral Home, Moline. Kenneth D. Baker, 1:30 p.m., Wheelan-Pressly Funeral Home and Crematory, Milan. Betty Johnson, 11 a.m., Faith Lutheran Church, Moline. Rommel VanHook, 11 a.m., Preemption United Methodist Church. Frank Fuoto Jr., 6 p.m., Trimble Funeral Home, Moline. Susan K. Gass, 11 a.m., Rafferty Funeral Home, Moline. Victoria Jones, 10 a.m., Christ the King Catholic Church, Moline. Robert G. Segura Sr., 10:30 a.m., St. Mary's Church, Moline. Dorothy L. Blender, 94, of Woodhull, died Sunday, April 14, 2019, at home. Arrangements: Peterson-Wallin-Knox Funeral Home, Woodhull. Steven L. Bolinger, 53, of Davenport, died Saturday, April 13, 2019. Arrangements: Esterdahl Mortuary and Crematory, Moline. Patrick A. Costello, 82, of Davenport, died Saturday, April 13, 2019, at his home. Arrangements: The Runge Mortuary. Barbara Muse, 85, of Orion, died Sunday, April 14, 2019, at Clarissa Cook Hospice House, Bettendorf. Arrangements: Kirk, Huggins & Esterdahl Funeral Home, Orion. Lawrence B. Rauch, 75, of Eldridge, died Saturday, April 13, 2019, at Genesis Medical Center, East Campus in Davenport. Arrangements: Chambers, Eldridge. EAST MOLINE - Funeral services for James R. “Jim” Gallaugher, 83, of East Moline, will be 10 a.m. Friday at Van Hoe Funeral Home, East Moline. Burial will be in Rock Island, National Cemetery. Visitation will be 4-7 p.m. Thursday at the funeral Home. Jim passed away on Saturday, April 13, 2019, at his home. After graduation from United Township High School in 1953, he attended the University of Illinois on a Rock Island Railroad scholarship. He graduated in 1957 with an Engineering degree. He married his high school sweetheart Joan Getty and began five years active duty in the Navy and served 20 years in the Naval Reserve. He achieved the rank of Captain in the Navy's Civil Engineer Corp with various duties including duty in the Panama Canal Zone, Commanding Officer of the 26th Seabee Battalion headquartered in Glenview, Ill., and various Regimental duties in several states. Numerous awards were received from both the Army and Navy as well as an award from the American Legion as the most decorated Air Force ROTC cadet at the University of Illinois. Schools attended included a year at the National Defense University in Washington, D.C., the Federal Executive Institute in Charlottesville, Va., and Jungle Warfare School in Panama. Jim's duties took him to every state in the U.S. and eight foreign countries. After retirement from the Navy and Army, he was employed for 10 years by the Illinois Environmental Protection Agency as an air pollution control engineer, finally retiring in December 2000. He remained active with his 185- acre Tree Farm near Viola. Jim was a 32nd Degree Mason, a member of the National Defense Executive Reserve, was listed in “Who's Who in the Midwest” and “Who's Who in Technology.” He was a past president of Delta Phi Social Fraternity at the U of IL, past president of the local chapter of the American Defense Preparedness Association, and past president of the Navy Reserve Association. He served voluntarily for several years as a consultant to the Engineering Departments of Iowa State University and St. Ambrose University. Survivors include his wife, Joan; children, Kathryn Douglass, Jeffrey, Cynthia Ross, Joel and spouse Marta, eight grandchildren and 10 great-grandchildren; and sister, Patricia Place. ROCK ISLAND - Susan Block Ebeling was the third child of four born to Herbert Block and Dorothy (Pat) O'Malley born in Chicago, Ill., and moved to Rock Island as a child. Susan went to junior high at St. Pius and went on to graduate from Alleman Class of 74." She became a nurse and moved to Florida where she started a family. Susan passed March 3, 2019, which is the 20th anniversary of the passing of her mom and dad, Pat O'Malley and Herb Block. She is preceded in death by her parents and her brother, Kevin Block. She is survived by her husband, David Ebeling; her son, Erik Devlin; daughter-in-law, Amber Bell; grandchild, Liv Devlin; and her two sisters, Pat Frerkes and Debbie Hughes. A memorial Mass will be held for Susan Block Ebeling at Sacred Heart, Rock Island, at 12:05 p.m. Friday, April 26, with a luncheon to follow at St. Mary's and Happy Hour at the Hill Top 2-5 p.m.
DAVENPORT-Bernadine Savage, 94, went home to be with the Lord on Thursday, April 11, 2019. A child of the depression, she was born August 18, 1924, to Cecil and Sarah (Baxter) Walmer, and grew up in the small town of Luray, Kansas. Bernie often told stories of tragic circumstances during the depression, but ended them positively with humor and by saying how she always felt loved. After hitchhiking to Kahoka, Missouri, she secretly married Donald E. Savage the day before Pearl Harbor, Dec. 6, 1941. Their marriage survived the hardships of a 3-4 year separation during WWll for almost 50 years. Bernie and Don, a chef, managed restaurants for several years. MOLINE-Richard Ankney, 92, of Moline, passed away Friday, April 12, 2019 at Amber Ridge Assisted Living, Moline. Visitation will be 4-6pm Wednesday at Rafferty Funeral Home, 2111-1st St A, Moline with his son in attendance. An informal celebration of life will be held at Amber Ridge Assisted Living at 900 43rd Avenue, Moline, on Thursday from 2-6pm. A Mass of Christian Burial will be at St. John the Evangelist Church under the direction of Rieth Rohrer Ehret Funeral Home, Goshen, Indiana. Burial will be at Fairview Cemetery in Mishawaka, Indiana. Memorials can be made to Sacred Heart Church, Moline, St. John the Evangelist Church, Goshen or Millersburg American Legion. Richard was born in Mishawaka, Indiana on March 28, 1927. He married Patricia Joann Coss in 1951 until her passing in October, 1963. He later married Alice "Jean" Good in 1964 and she passed in April 26, 2008. Richard lived in many places including Hamilton, Ohio, South Bend, Indiana, Eldridge, Iowa, Goshen, Indiana and the Quad Cities. He loved this country and proudly served in the Navy during WW2. He was mainly on USS Sicily CVE 118 and his dearest wish was to see the Manus Islands where he was stationed once again. Richard worked at Bendix/Cliftton Precision in the Instrument and Life Support Division for over 35 years. There they developed life support equipment including O2 concentrator/nebulizer technology for NASA. He was an avid fan of Notre Dame Football, a glass of good wine and big band music. He is survived by his son, Mathew Ankney (Walter Galvan); grandchildren, Sherrie Dilly, JoeyLyn Anderson, Patricia Ankney-Allers, Robert Ankney, Catherine Ankney; great grandchildren, Sidney Ankney, Courtney Ankney and Avery Reid; great great granddaughter, Nola Garrels; brother, John (Elizabeth) Ankney and family and sisters-in-law, Mary Lou (Dale) Weldy and family, Joanne Ganger and family. He is preceded in death by his parents, Chester Orville Ankney and Anna Marie (nee Geier), brothers, Donald and Robert Ankney, sister, Saron Tompkins, son, Richard Ankney in 2000, his Greencroft "daughter", Lori Lindsey, and his special friend, Betty Herendeen. Special thanks to Andy from Unity Point Hospice, the entire staff at Amber Ridge Assisted Living present/past, Louie Allers, Jr., John Piecuch, Rick Pharis, Cliff and Marsha, Sacred Heart Catholic Church in Moline and most of all Margaret Perkins for your warm friendship. CHILLICOTHE-John P. Balzer, age 70, of Chillicothe, passed away peacefully on Thursday, April 11, 2019 at his at home. John was born on October 4, 1948 in Davenport, IA to Leonard and Mae E. (O'Neil) Balzer. He married Margaret Brewer in 1967, Joan Harmening and later Sheree Runyon. Surviving is John's long-time love of his life, Marilyn Santillanes; his sons, Matthew (Karen) Balzer of Pleasant Valley, IA and Nathan (Kate) Balzer of Canonsburg, PA; his daughter, Jeannie Walquist; and six grandchildren, Nick, Erin, Sydney and Sean Balzer, and Josh and Jonathan Walquist. Also surviving is his sister, Barb Maday of Tucson, AZ. He was preceded in death by his parents; four brothers, Jerry, Leo, Edward and Mike; and two sisters, Maryanne Parker and Joanne Mizlo. MOLINE-Frank Fuoto, Jr., 75, of Moline, Illinois, died Saturday, April 13, 2019, in Clarissa C. Cook Hospice House, Bettendorf, Iowa. Visitation will be 4 to 6 p.m. in the Horizon Room at Trimble Funeral Home at Trimble Pointe, 701 12th Street, Moline. Monday. A family directed funeral service will follow at 6:00 p.m. Cremation will take place at Trimble Crematory following the service, and burial will be Tuesday morning at Rock Island National Cemetery. Those wishing to attend the burial should meet at the funeral home at 11 a.m. Tuesday. Memorials may be made to Disabled American Veterans. Frank was born January 2, 1944, in New York City, New York, to Frank Sr. and Julia Donofrio Fuoto. He served in the USAir Force from 1962 to 1965. He then worked as a civilian employee of the US Army on the Rock Island Arsenal for 30 years, as a management specialist. He was an active with the Grumman Lunar Module Alumni. He had an active social life, enjoyed the Arsenal "Breakfast Club" and was a voracious reader, especially of history. Frank is survived by a brother and sister-in-law, John and Janet Fuoto of Longs, South Carolina; a sister and brother-in-law, Ellen Fuoto and John Rasi of Baton Rouge, Louisiana; a step-brother, Al Scarpellini of Bay Shore, New York; a half-sister, Rosemary Fuoto of Bay Shore; and many nieces, nephews, and cousins. Frank's family invites friends to share stories and condolences at TrimbleFuneralHomes.com. BETTENDORF-Memorial Services for Helen A. Kerns, 94, a resident of Bettendorf, will be 11:00 a.m., Tuesday, April 23, 2019 at Halligan McCabe DeVries Funeral Home, Davenport. The family will greet friends from 10:00 a.m. until the time of the service on Tuesday. Burial will take place at Mt. Calvary Cemetery, Davenport. Helen passed away Thursday, April 11, 2019 at her home in Bettendorf. Those left to honor Helen's memory include her children: Patricia (Thomas) Bolton, Davenport, Catherine (Michael) Campbell, Dayton, Ohio, and Debra (Mark) Hammes, Davenport; grandchildren: Tracy, Tammy, Julie, Jennifer, Jesse, Tricia and Bradley; numerous great-grandchildren. Online remembrances may be expressed by viewing Helen's obituary at www.hmdfuneralhome.com. Terry Duane Baltzer, 74, of Whitewater, CO, died Saturday, April 6, 2019. Arrangements: Callahan Edfast Mortuary, Grand Junction, CO.
AVE, MO-Richard Lambert Sr. went Home on Feb. 28th. Richard was the beloved Husband of Sharon Lambert, father of Shelly Karr, Stacy, Rick Jr. and Sam Lambert. Grandfather of Corey, Cassie, Brandon, and Tyler Lambert, Brady and Braiden Elder, and Katie Van Dyke. Great Grandfather of Carter Lambert, Stella and Koby Van Dyke. Brother of Sandy Halbrook and Sherry Latora. Rick was an expert auto body repair and painter joining father Lowel, brother Bob, Uncle Joe, and cousin Ike Rhoades. Retiring from The City of Davenport in 2007. Jeffrey Bernat, 50, of East Moline, died Friday, April 12, 2019 at Genesis East Davenport. Arrangements: Van Hoe Funeral Home, East Moline. Vivian Jean Pierce, 93, of Davenport, died Saturday, April 13, 2019 at Trinity Bettendorf. Arrangements: Runge Mortuary, Davenport. Marjorie K. Ridenour, 96, of Moline, died Saturday, April 13, 2019 in Bickford of Moline. Arrangements: Trimble Funeral Home & Crematory, Moline. Ilo Mae Malik, 90, of Bettendorf, died Saturday, April 13, 2019 at Manor Care in Davenport. Arrangements: McGinnis-Chambers Fuenral Home, Bettendorf. EAST MOLINE-Funeral services for James R."Jim" Gallaugher , 83, of East Moline, IL, will be 10 am Friday at the Van Hoe Funeral Home Ltd., East Moline. Burial will be in Rock Island, National Cemetery. Visitation will be 4-7 Thursday at the funeral Home. Jim passed away on Saturday, April 13, 2019 at his home. After graduation from United Township High School in 1953, he attended the University of Illinois on a Rock Island Railroad scholarship. He graduated in 1957 with an Engineering degree. He married his high school sweetheart Joan Getty and began 5 years active duty in the Navy and served 20 years in the Naval Reserve. He achieved the rank of Captain in the Navy's Civil Engineer Corp with various duties including duty in the Panama Canal Zone, Commanding Officer of the 26th Seabee Battalion headquartered in Glenview, IL, and various Regimental duties in several states. Numerous awards were received from both the Army and Navy as well as an award from the American Legion as the most decorated Air Force ROTC cadet at the University of Illinois. Schools attended included a year at the National Defense University in Washington, D. C., the Federal Executive Institute in Charlottesville, Virginia, and Jungle Warfare School in Panama. Jim's duties took him to every state in the U.S. and eight foreign countries. Jim was a 32nd Degree Mason, a member of the National Defense Executive Reserve, was listed in "Who's Who in the Midwest" and "Who's Who in Technology". He was a past president of Delta Phi Social Fraternity at the U of IL, past president of the local chapter of the American Defense Preparedness Association, and past president of the Navy Reserve Association. He served voluntarily for several years as a consultant to the Engineering Departments of Iowa State University and St. Ambrose University. William "Bill" Miller, 76, of Muscatine, died Saturday, April 13, 2019, at Premier Estates. Arrangements: George M. Wittich-Lewis Home for Funeral and Cremation Services. Terrance "Terry" Brooks, 64, of Moline, formerly of Rock Island, died Saturday, April 13, 2019 at his home. Arrangements: Wheelan Pressly Funeral Home and Crematory, Rock Island. MILAN - Ila A. Stephenson, 92, formerly of Milan, died Friday, April 12, 2019, at Cumberland Trace, Plainfield, Ind. Funeral services are 10:30 a.m. Wednesday at the Wheelan-Pressly Funeral Home and Crematory, 201 E. 4th Ave., Milan. Burial is at the National Cemetery, Arsenal Island. Visitation is 4 to 7 p.m. Tuesday at the funeral home. In lieu of flowers, memorials may be made to the American Cancer Society or to the Alzheimer's Association. Ila A. Harris was born Apr. 17, 1926, in Muscatine, Iowa, a daughter of Oscar and Addie Mae Prather Harris. She married John Vernon Stephenson on April 24, 1943, in Waukegan, Ill. He died Jan. 15, 1985. Survivors include her children, Debra (Terry) Kilgore, Martinsville, Ind., Paula Stephenson-Dyer, Indianapolis, Ind., Lonnie (Dawn) Stephenson, Monrovia, Md., Scott (Becky) Stephenson, The Villages, Fla., and Mindi Stephenson-Bower, Suffolk, Va.; 17 grandchildren; 21 great-grandchildren; and 10 great-great-grandchildren. She was preceded in death by her parents; husband; infant children, John Vernon and Dawn Renee; sisters, Nettie Harmon and Evelyn Hahn; and brothers, William, Donald, Dale and Harry Harris. Terry Duane Baltzer, 74, of Whitewater, Colo., died Saturday, April 6, 2019. Arrangements: Callahan Edfast Mortuary, Grand Junction, CO.
Jeffrey Bernat, 50, of East Moline, died Friday, April 12, 2019, at Genesis East Davenport. Arrangements: Van Hoe Funeral Home, East Moline. Terrance "Terry" Brooks, 64, of Moline, formerly of Rock Island, died Saturday, April 13, 2019, at his home. Arrangements: Wheelan Pressly Funeral Home and Crematory, Rock Island. Frank Fuoto, Jr., 75, of Moline, died Saturday, April 13, 2019, in Clarissa C. Cook Hospice House, Bettendorf. Arrangements: Trimble Funeral Home & Crematory, Moline. 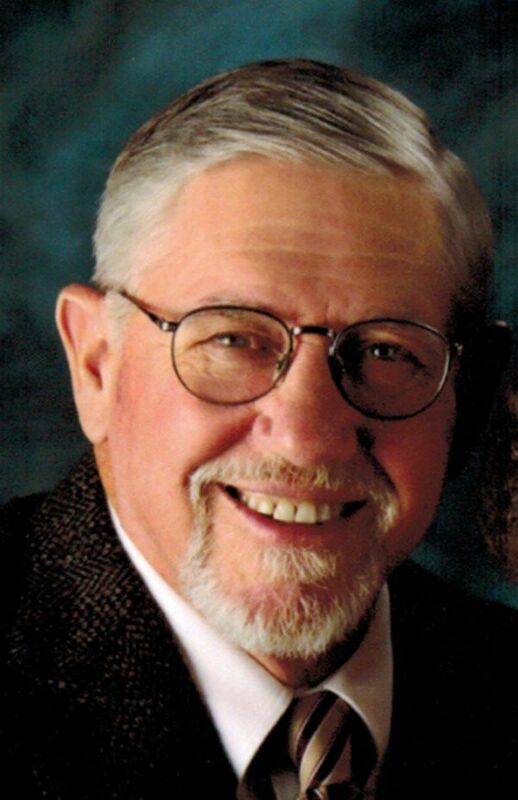 James R. Gallaugher, 83, of East Moline, died Saturday, April 13, 2019, at his home. Arrangements: Van Hoe Funeral Home, East Moline. Ilo Mae Malik, 90, of Bettendorf, died Saturday, April 13, 2019, at Manor Care in Davenport. Arrangements: McGinnis-Chambers Fuenral Home, Bettendorf. William "Bill" Miller, 76, of Muscatine, died Saturday, April 13, 2019, at Premier Estates. Arrangements: Geo. M. Wittich-Lewis Home for Funeral and Cremation Services. Vivian Jean Pierce, 93, of Davenport, died Saturday, April 13, 2019, at Trinity Bettendorf. Arrangements: Runge Mortuary, Davenport. Marjorie K. Ridenour, 96, of Moline, died Saturday, April 13, 2019, in Bickford of Moline. Arrangements: Trimble Funeral Home & Crematory, Moline. MOLINE - Frank Fuoto, Jr., 75, of Moline, Illinois, died Saturday, April 13, 2019, in Clarissa C. Cook Hospice House, Bettendorf, Iowa. Visitation will be 4 to 6 p.m. Monday in the Horizon Room at Trimble Funeral Home at Trimble Pointe, 701 12th Street, Moline. A family directed funeral service will follow at 6 p.m. Cremation will take place at Trimble Crematory following the service, and burial will be Tuesday morning at Rock Island National Cemetery. Those wishing to attend the burial should meet at the funeral home at 11 a.m. Tuesday. Memorials may be made to Disabled American Veterans. Frank was born January 2, 1944, in New York City, New York, to Frank Sr. and Julia Donofrio Fuoto. He served in the U.S. Air Force from 1962 to 1965. He then worked as a civilian employee of the U.S. Army on the Rock Island Arsenal for 30 years, as a management specialist. He was an active with the Grumman Lunar Module Alumni. He had an active social life, enjoyed the Arsenal “Breakfast Club” and was a voracious reader, especially of history. MOLINE - Richard Ankney, 92, of Moline, passed away Friday, April 12, 2019, at Amber Ridge Assisted Living, Moline. Visitation will be 4-6 p.m. Wednesday at Rafferty Funeral Home, 2111-1st St. A, Moline. with his son in attendance. An informal celebration of life will be held at Amber Ridge Assisted Living at 900 43rd Avenue, Moline, on Thursday from 2-6 p.m. A Mass of Christian Burial will be at St. John the Evangelist Church under the direction of Rieth Rohrer Ehret Funeral Home, Goshen, Indiana. Burial will be at Fairview Cemetery in Mishawaka, Indiana. Memorials can be made to Sacred Heart Church, Moline, St. John the Evangelist Church, Goshen or Millersburg American Legion. Richard was born in Mishawaka, Indiana. on March 28, 1927. He married Patricia Joann Coss in 1951 until her passing in October 1963. He later married Alice “Jean” Good in 1964 and she passed in April 26, 2008. Richard lived in many places including Hamilton, Ohio, South Bend, Indiana, Eldridge, Iowa, Goshen, Indiana. and the Quad-Cities. He loved this country and proudly served in the Navy during WW2. He was mainly on USS Sicily CVE 118 and his dearest wish was to see the Manus Islands, where he was stationed once again. He is survived by his son, Mathew Ankney (Walter Galvan); grandchildren, Sherrie Dilly, JoeyLyn Anderson, Patricia Ankney-Allers, Robert Ankney, Catherine Ankney; great-grandchildren, Sidney Ankney, Courtney Ankney and Avery Reid; great-great-granddaughter, Nola Garrels; brother, John (Elizabeth) Ankney and family and sisters-in-law, Mary Lou (Dale) Weldy and family, Joanne Ganger and family. He is preceded in death by his parents, Chester Orville Ankney and Anna Marie (nee Geier), brothers, Donald and Robert Ankney, sister, Saron Tompkins, son, Richard Ankney in 2000, his Greencroft “daughter”, Lori Lindsey, and his special friend, Betty Herendeen. John Lee David Scheetz, 2 p.m., Community of Hope Lutheran Church, Davenport. Raymond Earl Steinberg, 3 p.m., Fry Funeral Home. “Yogi” Gary Braet, 10:30 a.m., Faith Lutheran Church, Calamus. Elsie Marie Ecklund, noon, Oakdale Memorial Gardens. Frank Fuoto, Jr., 6 p.m., Horizon Room at Trimble Funeral Home, Moline. M. David Schaefer, 1 p.m., Weerts Funeral Home, Davenport. AVE, Mo. - Richard Lambert Sr. went Home on Feb. 28th. Rick was an expert auto body repair and painter, joining father Lowel, brother Bob, Uncle Joe, and cousin Ike Rhoades. Retiring from the City of Davenport in 2007. Saturday, April 20th @ 2 p.m.
BETTENDORF - Memorial Services for Helen A. Kerns, 94, a resident of Bettendorf, will be 11 a.m. Tuesday, April 23, 2019, at Halligan McCabe DeVries Funeral Home, Davenport. The family will greet friends from 10 a.m. until the time of the service on Tuesday. Burial will take place at Mt. Calvary Cemetery, Davenport. Helen passed away Thursday, April 11, 2019, at her home in Bettendorf. Helen Arlene Tracy was born July 3, 1924, in Davenport, a daughter of Martin J. and Valeska (Gries) Tracy. She married James J. Kerns August 3, 1946, at St. Paul the Apostle Catholic Church, Davenport. They celebrated 69 years of marriage before James preceded her in death December 28, 2015. DAVENPORT - Bernadine Savage, 94, went home to be with the Lord on Thursday, April 11, 2019. She is preceded in death by her husband; her son, Larry J. Brown; two sisters and two brothers. She is survived by 5 grandchildren, 13 great- grandchildren, and 9 great-great grandchildren, several nieces and nephews. She was a sweet soul , loved by all who knew her. TUCSON, Ariz. - Suzanne Rae Auman, 73, of Tucson, Ariz., died February 25, 2019, at the Casa De La Luz Hospice in Tucson, following a seven-month struggle with cancer. She and her husband, Tom, had lived in Saddlebrooke, a retirement community near Tucson, for eight years, after living and working in the Illinois Quad Cities for much of their lives. Suzanne was an elementary educator in the Moline School System for over 30 years, teaching kindergarten at Butterworth and Jane Addams schools. Suzanne was born in Quincy, Ill., to Charles and Florence Murphy on May 21, 1945. She lived much of her early life in Albany and Morrison, Ill. She graduated from Morrison High School, and earned her bachelor's degree in social work and her master's degree in early childhood education from Western Illinois University. She is survived by her husband, Tom, sisters Melinda Rexford and Becky Brady, stepchildren, Michael (Amy) Auman, Katie (Jay) Murray, and grandchildren Cedar and Stella Murray. Suzanne had a great gift for creating beauty wherever she went, and applied this to interior design and decorating, assisting many people in re-imagining the living spaces in their homes. She was an inspiring and beautiful friend to many, and will be deeply missed by those who had the joy of knowing her. Memorials may be made to a charitable organization of your choice. Celebration of Life to be held at a later date. EAST MOLINE - Joan J. Grothusen, 86, of East Moline, formerly of Rock Island, passed away Wednesday, April 10, 2019, at the home of her daughter, Linda. A Mass of Christian Burial will be celebrated at 10 a.m. Wednesday at St. Mary Catholic Church, Rock Island. Recitation of the Holy Rosary will be 4 p.m. Tuesday at Wheelan Pressly Funeral Home and Crematory, 3030 7th Ave., Rock Island, where visitation will follow the Rosary until 7 p.m. Burial will be in Rock Island National Cemetery, Arsenal Island. Memorials may be made to Alleman Catholic High School or to Intouch Active Day Services, Moline. Joan was born September 25, 1932, in Davenport, a daughter of Frank E. and Cesariene P. Noens DePaepe. Joan attended St. Joseph's School and was a member of the first graduating class at Alleman High School. She married Keith R. Grothusen on January 12, 1952, at St. Joseph Catholic Church, Rock Island. Keith passed away October 18, 2008. Joan worked at Wagner's Printers, Inc. for 36 years, retiring as the head bookkeeper. She was very active in her church, first at St. Joseph and then at St. Mary Catholic Church. She served as church secretary and was active in the Altar and Rosary Society. In her spare time, Joan loved spending time with her family, embroidery, bingo, occasionally visiting the casino and bowling in her earlier years. Left to cherish her memory are her children, Linda (Michael) Fenner, East Moline; Mary Jo (Jeffrey) Anderson, West Des Moines, Iowa; Kathleen (Holly McNeil) Cincola, Bettendorf; 8 grandchildren; 2 great-grandchildren; and many extended loving family members and friends. She was preceded in death by her husband; parents; infant children, Grace and John Grothusen; brother, Frank DePaepe and sister, Janet Santry. CHILLICOTHE - John P. Balzer, age 70, of Chillicothe, passed away peacefully on Thursday, April 11, 2019, at his at home. John was born on October 4, 1948, in Davenport, Iowa, to Leonard and Mae E. (O'Neil) Balzer. He married Margaret Brewer in 1967, Joan Harmening and later Sheree Runyon. Surviving is John's long-time love of his life, Marilyn Santillanes; his sons, Matthew (Karen) Balzer of Pleasant Valley, Iowa, and Nathan (Kate) Balzer of Canonsburg, Pa.; his daughter, Jeannie Walquist; and six grandchildren, Nick, Erin, Sydney and Sean Balzer, and Josh and Jonathan Walquist. Also surviving is his sister, Barb Maday of Tucson, Ariz. He was preceded in death by his parents; four brothers, Jerry, Leo, Edward and Mike; and two sisters, Maryanne Parker and Joanne Mizlo. WILTON, Iowa - Louis E. Brammeier, 92, of Wilton, Iowa, passed away Friday, April 12, 2019, at his home with his family by his side. Lou was born in Wilton on July 20, 1926, to Harold and Leona (Halberg) Brammeier. He graduated from Wilton High School in 1944. He proudly served his country in the United States Army during the Korean War. Lou married Faye L. Dietz on March 16, 1951, in Wilton. Visitation will be held on Monday April 15, 2019, from 5-7 p.m. at Zion Lutheran Church in Wilton. Funeral services will be held on Tuesday at 10 a.m. at Zion Lutheran Church. Additional visitation will be 1 hour prior to the service at the church. He was preceded in death by his granddaughter Laura Yoho, great granddaughter Britney Vandervoort and his sister LaVerta Schneckloth.